Need a helping hand with how to set up G Suite for your website? 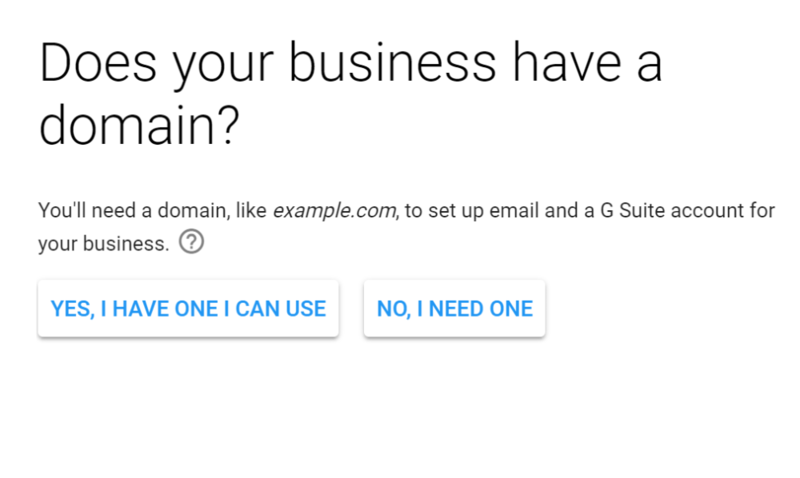 Google’s G Suite service can help you with a lot of things, but one of the most notable features is that it hosts your email for you and lets you use the Gmail interface with your own domain name (e.g. you@yourdomain.com). 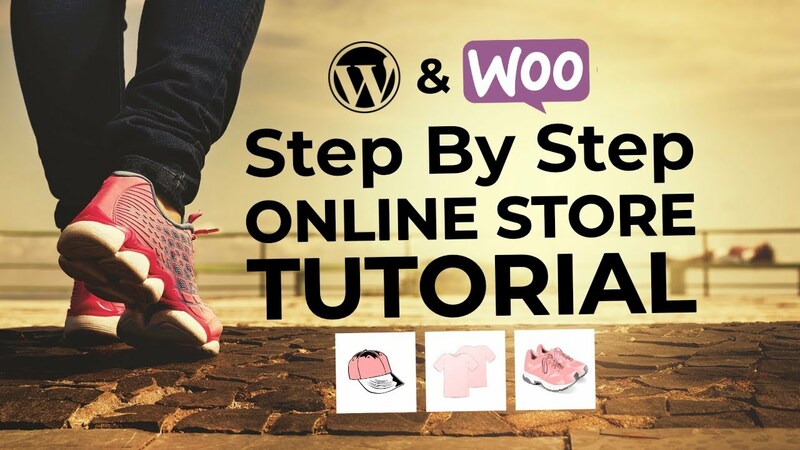 That makes it a great option as an email hosting solution for your WordPress site, though this guide is by no means limited to just WordPress users. 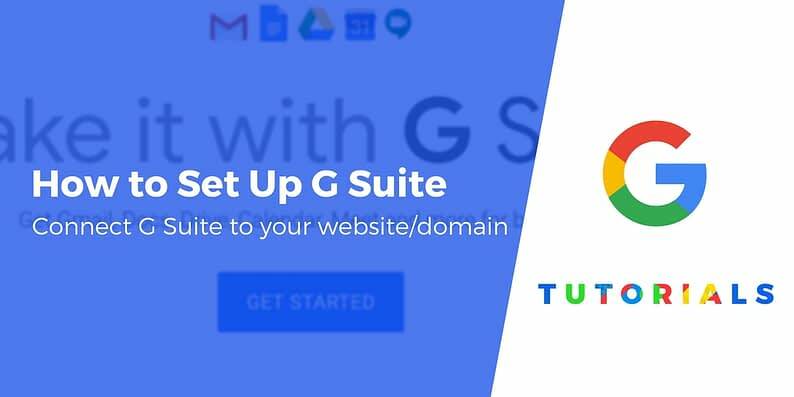 In this how to set up G Suite tutorial, I’ll take you through every step that you need to take to get G Suite working with your website. 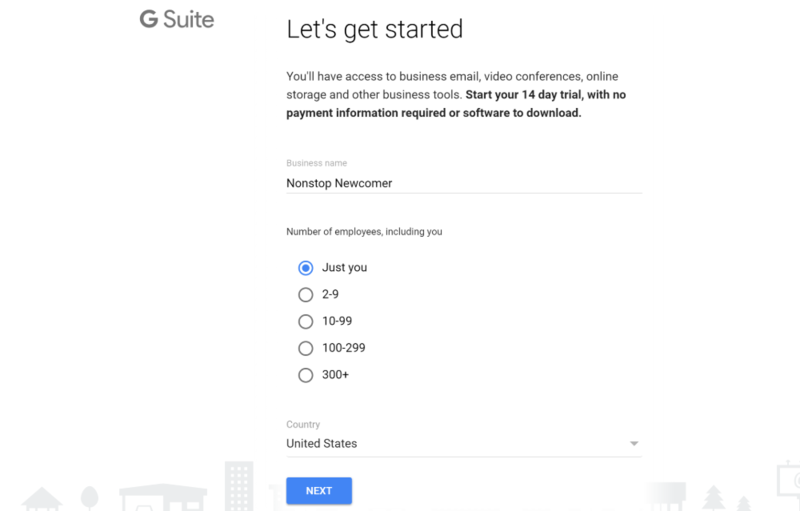 By the end, you’ll have a working email account hosted through G Suite, as well as access to all the other G Suite functionality (like Google Hangouts, separate Google Drive storage for Docs, Sheets, etc.). 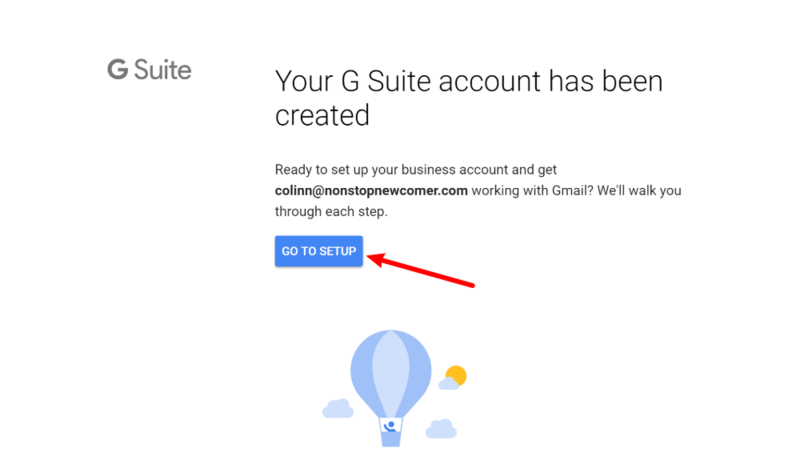 To get started, you’ll need to create your actual G Suite account. This will launch the account setup wizard, which will prompt you to provide Google with some information. 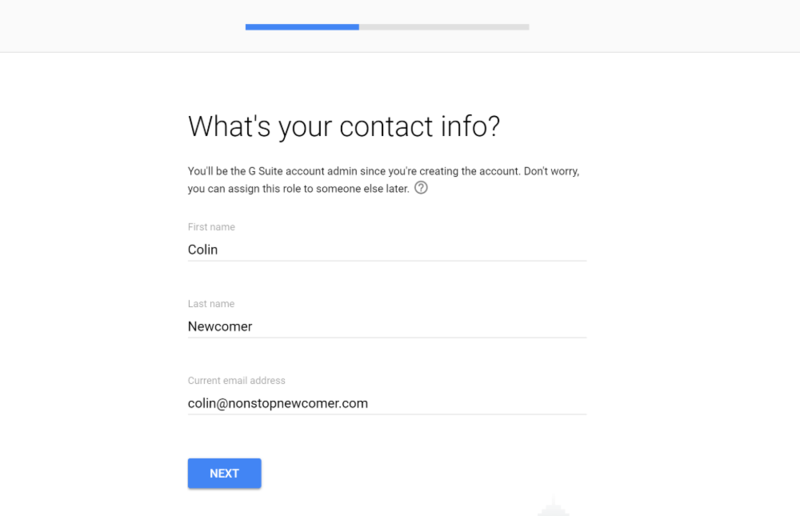 On the next screen, you’ll need to enter the information for your G Suite admin account. 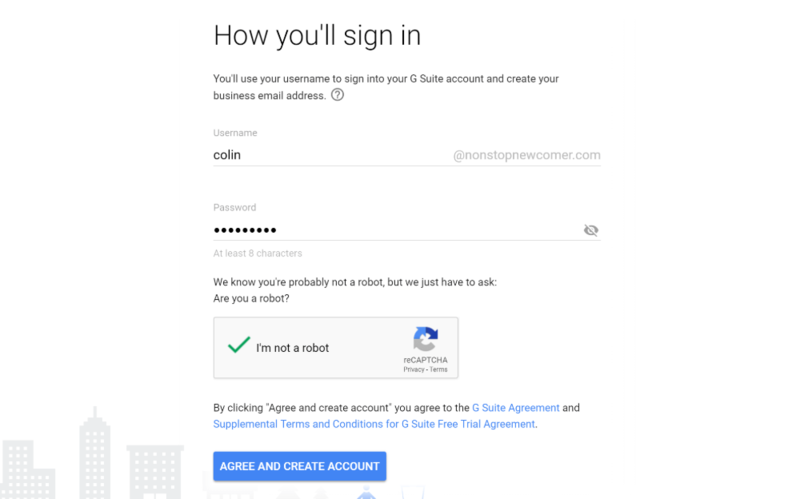 Then, you’ll need to enter a username and password that you’ll use to sign into G Suite. Your username will be your business email address by default (i.e. username@yourdomain.com), so you should keep that in mind when choosing which username to use. 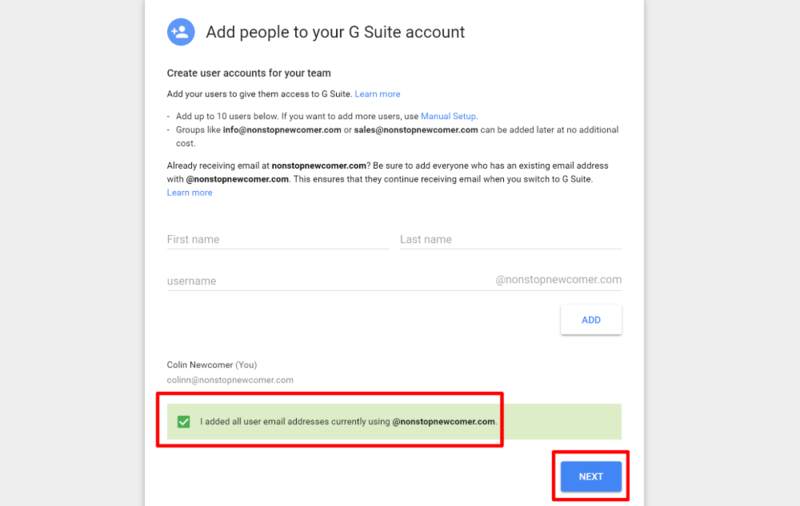 If you want to give other people access to your shared G Suite account, click Start next to Add people to your G Suite account. Then, you’ll be able to add additional users. Now is when you start getting into the more technical aspects of how to set up G Suite. 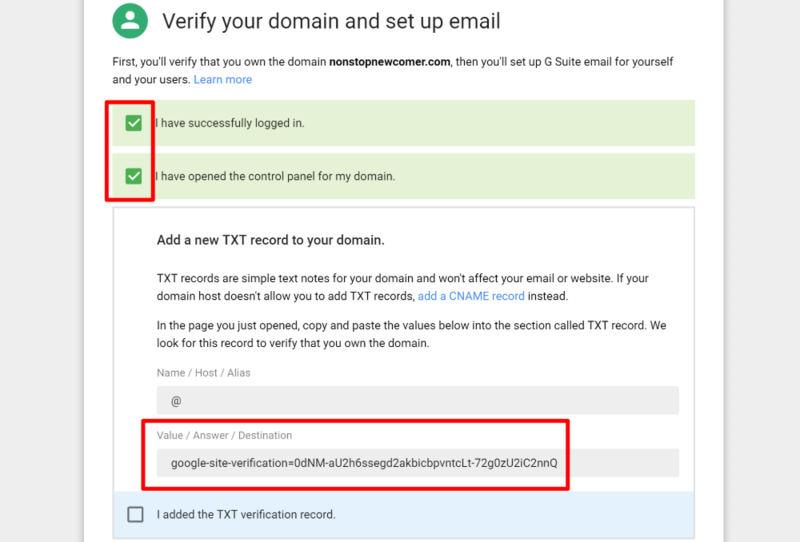 First, you’ll need to verify your domain ownership with Google by adding something called a TXT record. To help you do this, Google will try to detect where your domain is hosted and provide instructions. 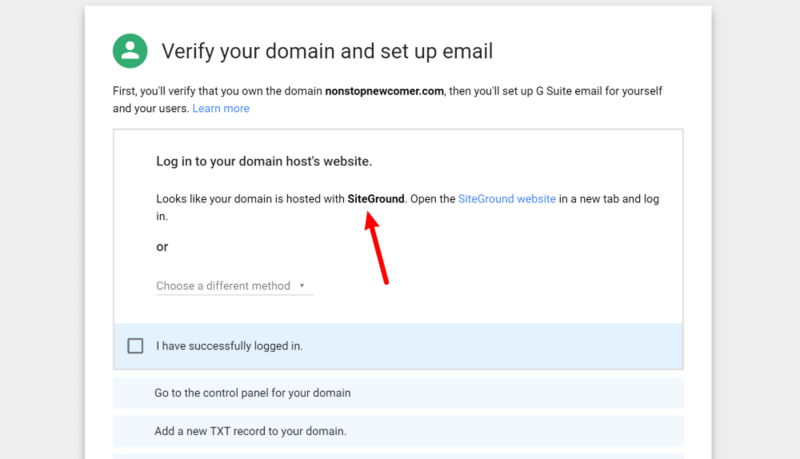 For example, Google detected that my example site is hosted at SiteGround. These instructions are actually pretty helpful, so they may be all you need. Next, select your domain name from the drop-down. Next, you need to complete one more technical step and add something called MX Records. These are what allow G Suite to handle email for your domain name. 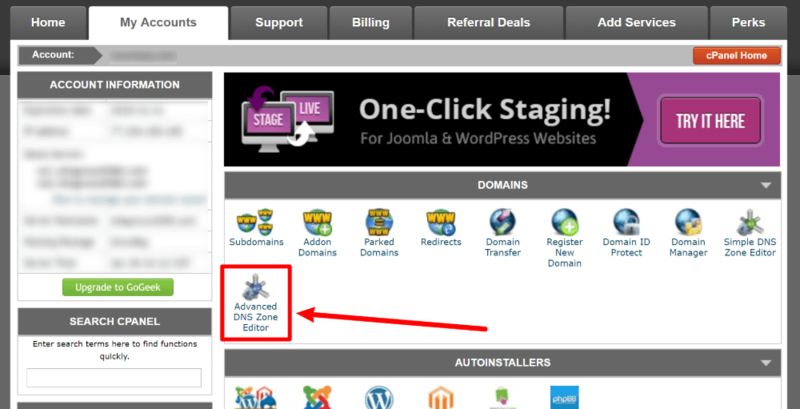 Again, I’ll show you how to do this using cPanel. But if your host doesn’t use cPanel, you might need to reach out to your host’s support staff. If you don’t see that pre-made option for Google, you can open the Advanced MX Editor from your main cPanel dashboard. You just set up G Suite and your email should start working soon – enjoy! Note, it might take a few hours before your email starts working, so don’t worry if you don’t receive emails right away. At this point, you’ve set up G Suite and everything should be working. 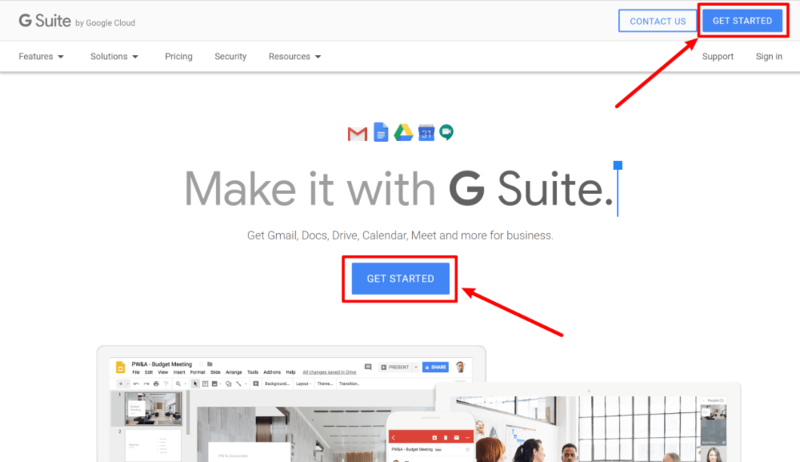 You can switch to your new G Suite account by clicking on the icon in the top-right corner. 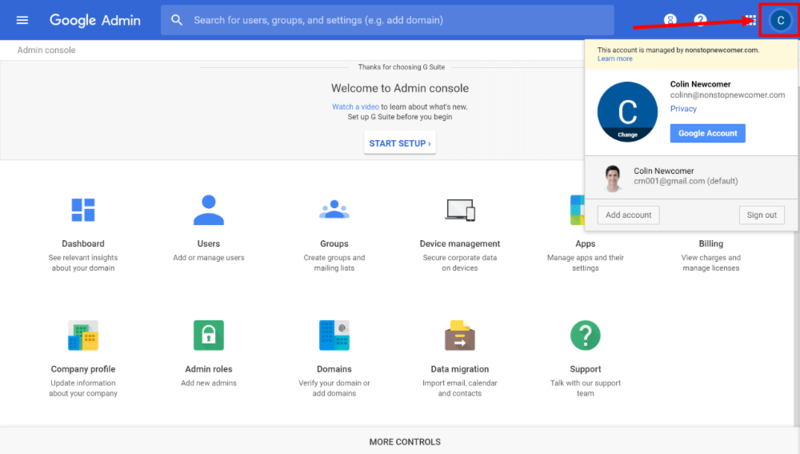 For more information about the admin console, check out this Google page. 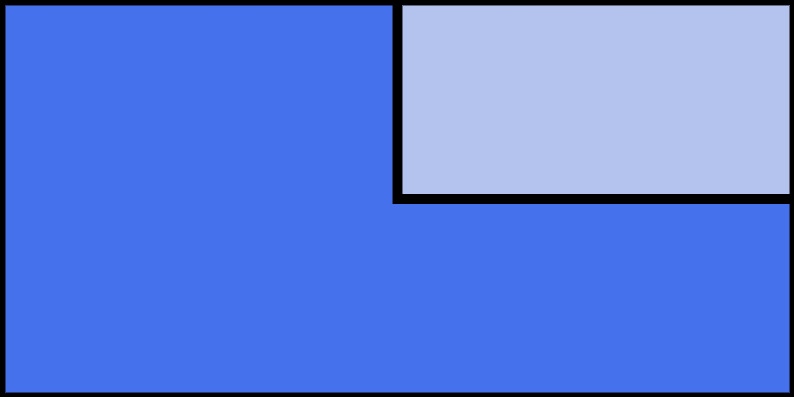 Do you have any other questions about how to set up G Suite with your WordPress site? Let us know in the comments and we’ll try to help!